Dress for the job you want, not the job you have. Want to be a manager someday? Take note of how members of leadership are dressed, and then emulate their style. HON headquarters is in Muscatine, IA. With winter fast approaching and temperatures in single digits, dressing for the season is a must. In Iowa, this usually means adding fun accessories to your wardrobe, such as a scarf, and wearing stylish yet practical footwear. Be mindful of the weather and dress accordingly – no matter where you live. When in doubt, overdress. After all, you never know when you’ll be pulled into a meeting with leadership wishing you’d put more effort into your appearance. Your self confidence will get a boost just knowing that you look great. On that note – be conservative. Being noticed for your work ethic and overall poise is good; being noticed for your flashy clothes is not. Stick with classic lines and colors to be noticed in the right way. 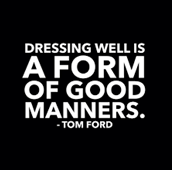 But, don’t be afraid to infuse your own style and personality into your outfit when appropriate. A funky pattern or statement piece can strike up a conversation and show your individuality. One of the things I love about working at HON is being able to showcase my personal style every day. What are some of your favorite fashion tips for the workplace?